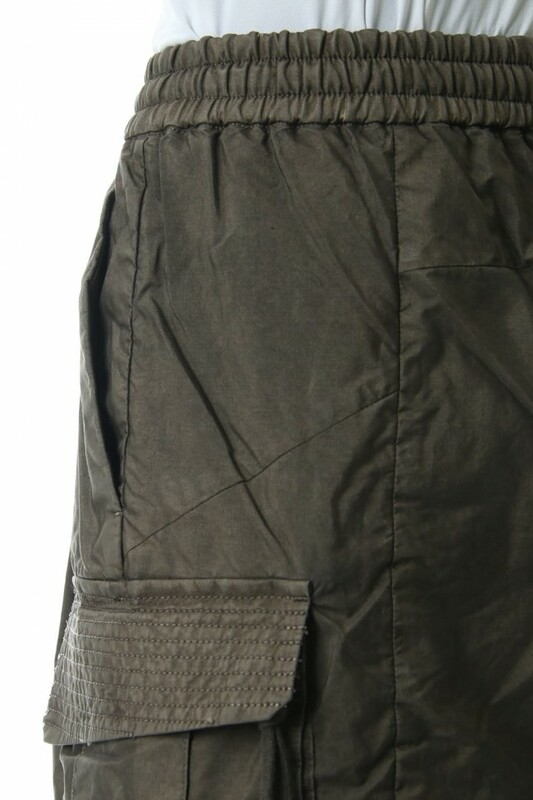 The fabric was produced by OLMETEX. 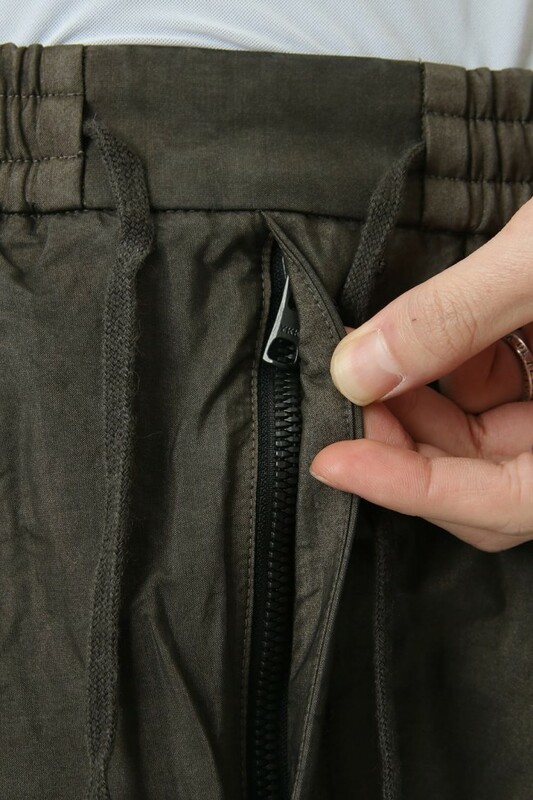 High density silk is a light natural fiber and has excellent ventilation. 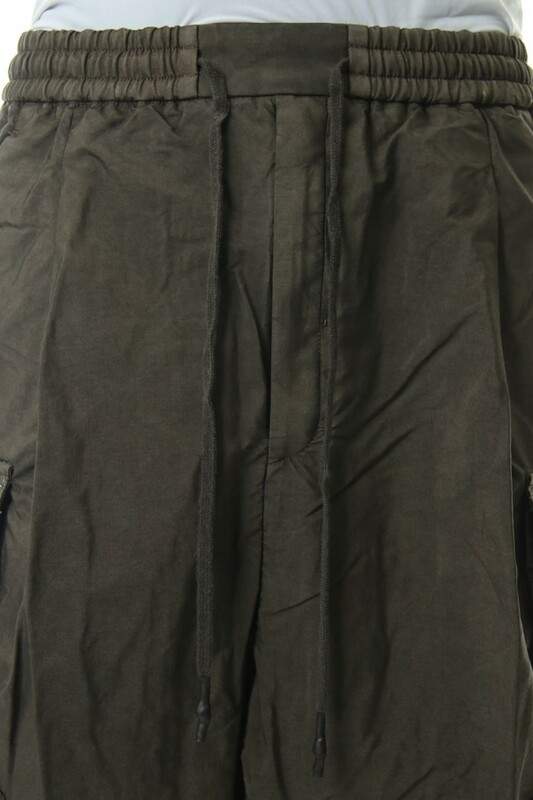 For soft-processed silk, we do our own wash processing so that a unique drape feeling comes out. 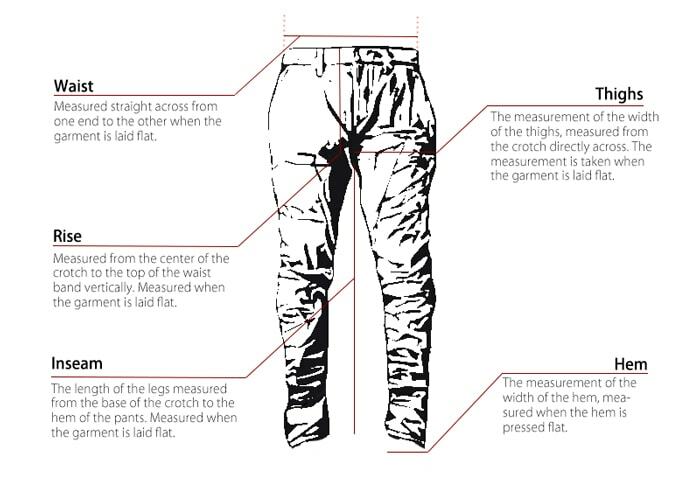 Both kinds of fabrics can be washed at home with water. 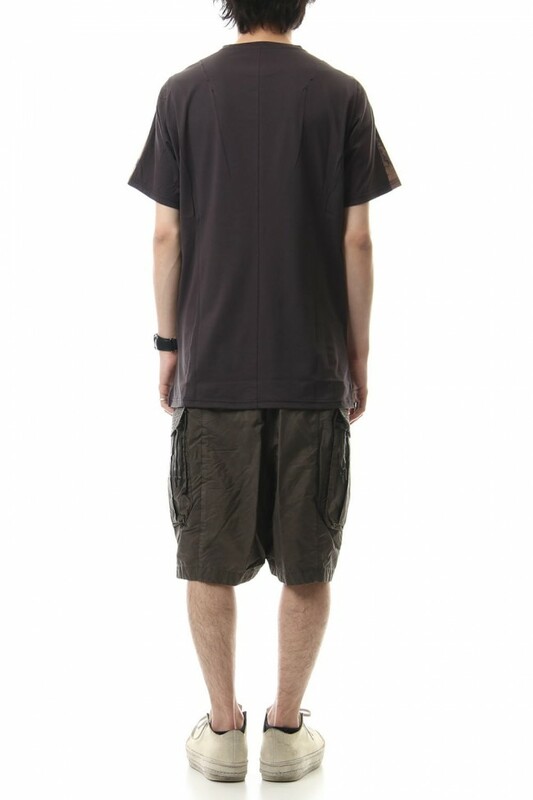 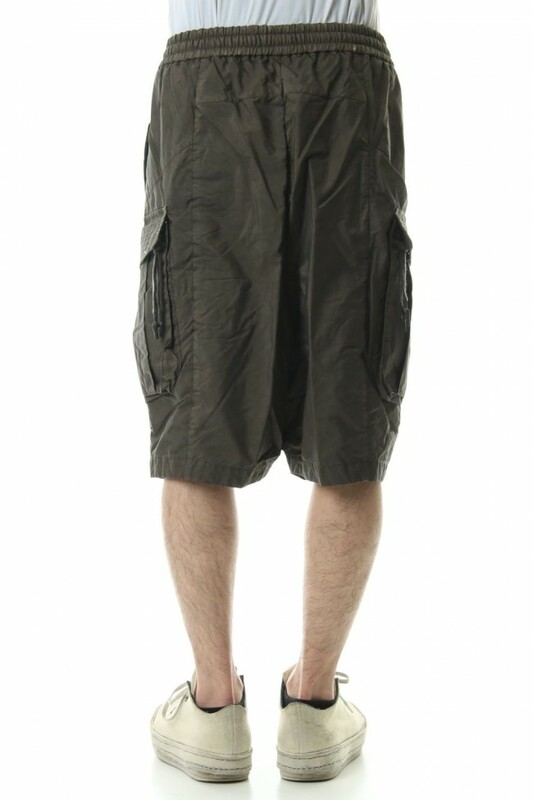 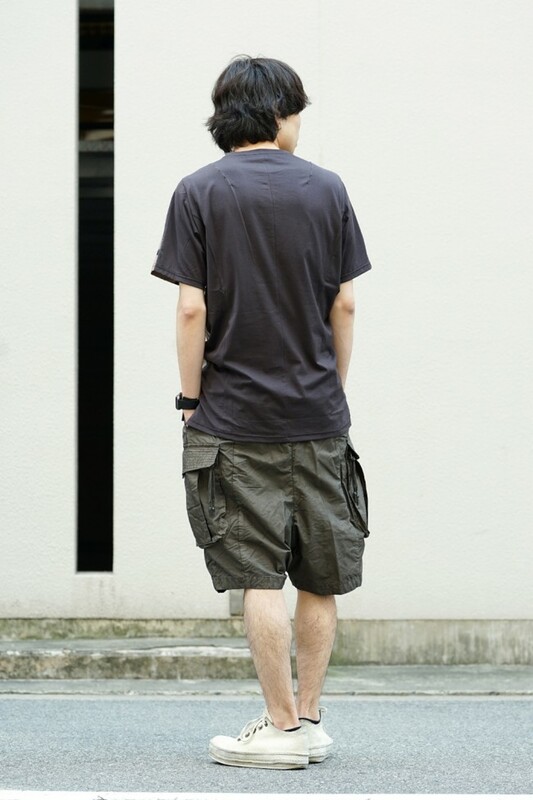 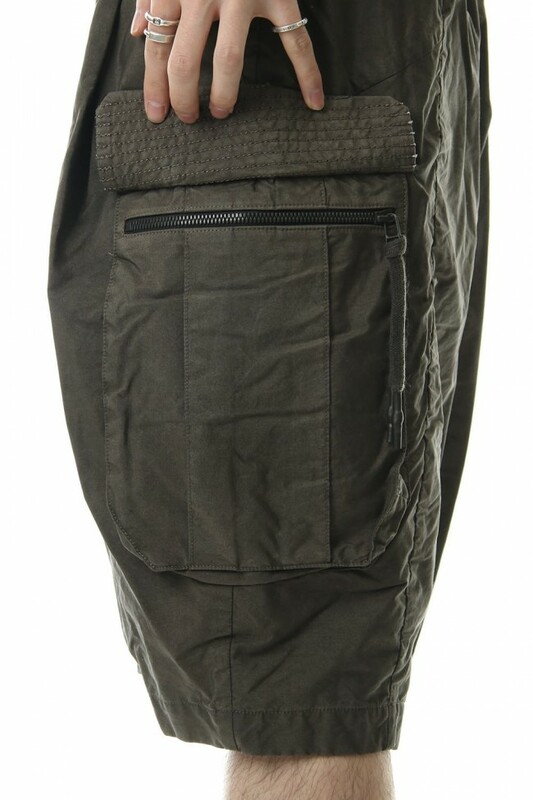 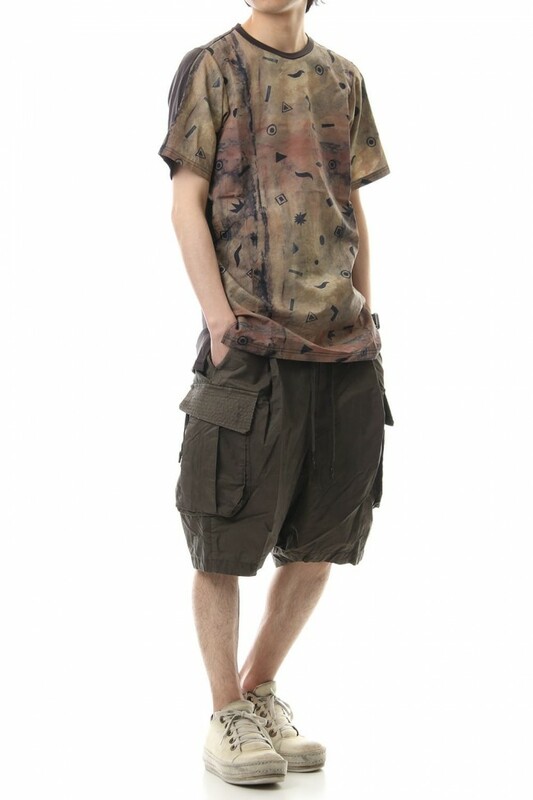 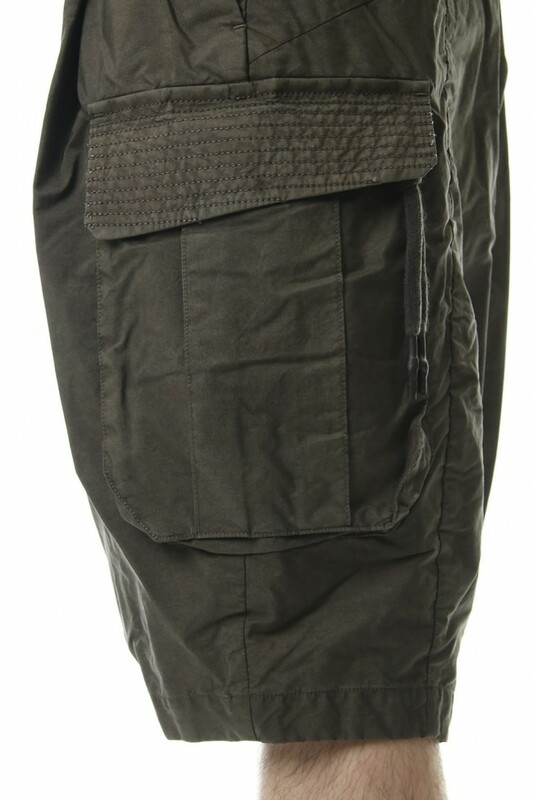 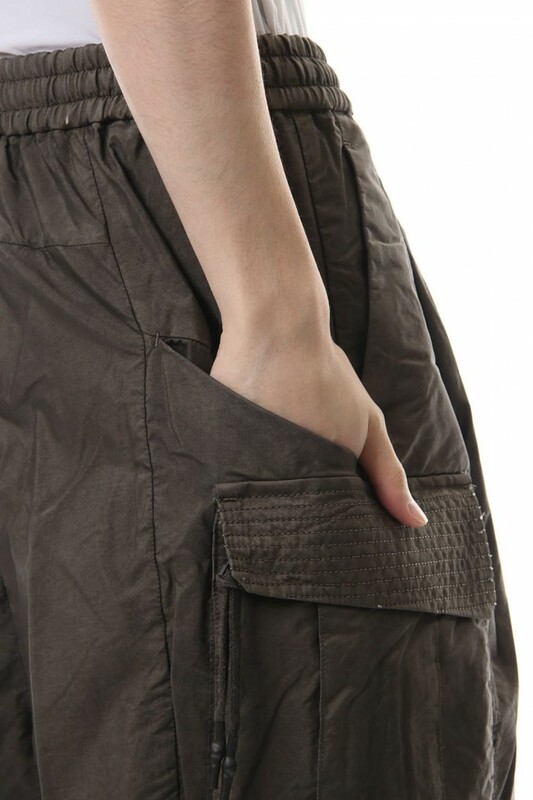 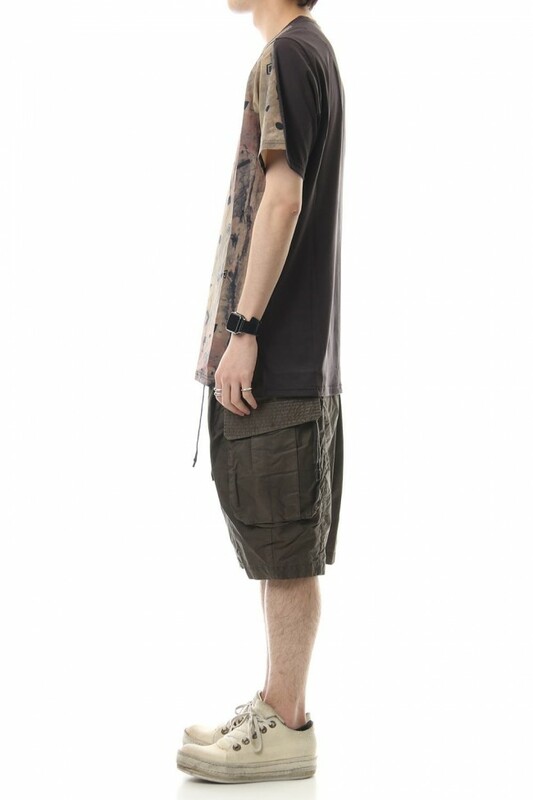 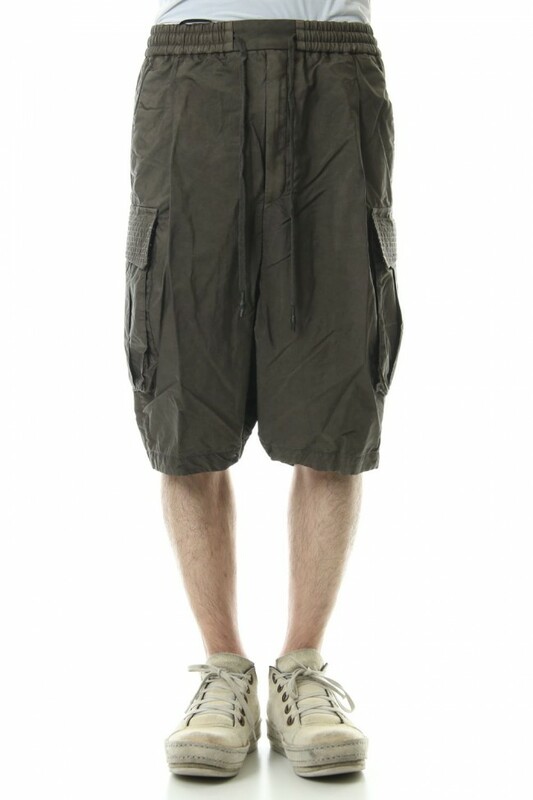 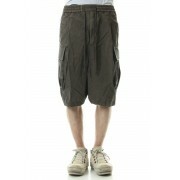 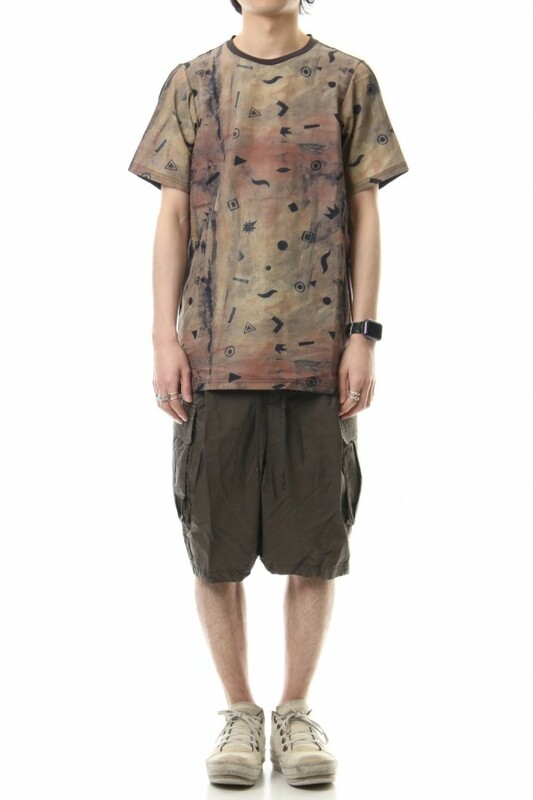 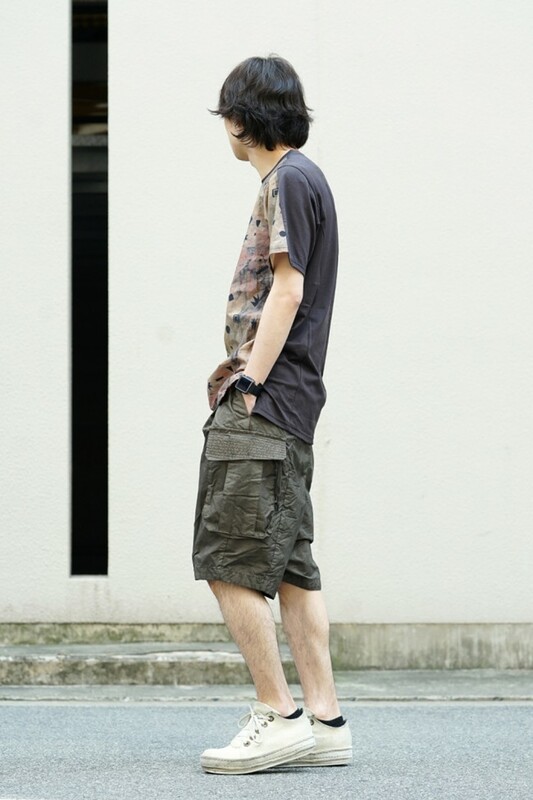 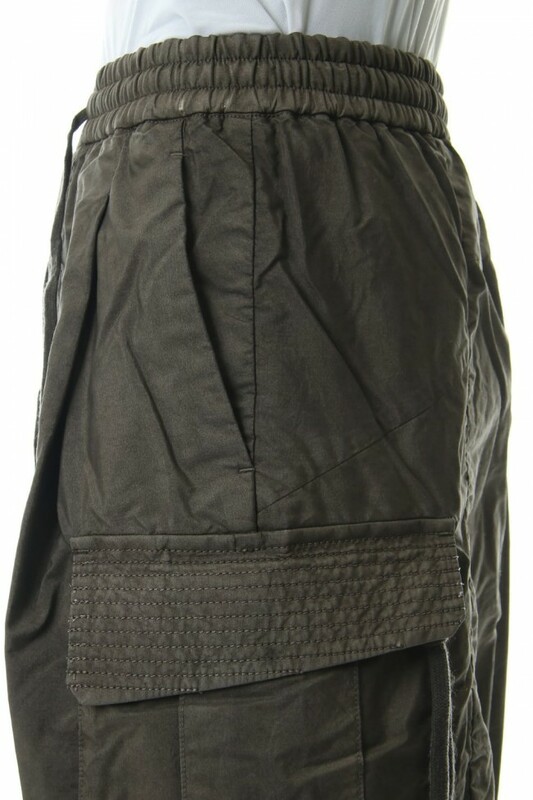 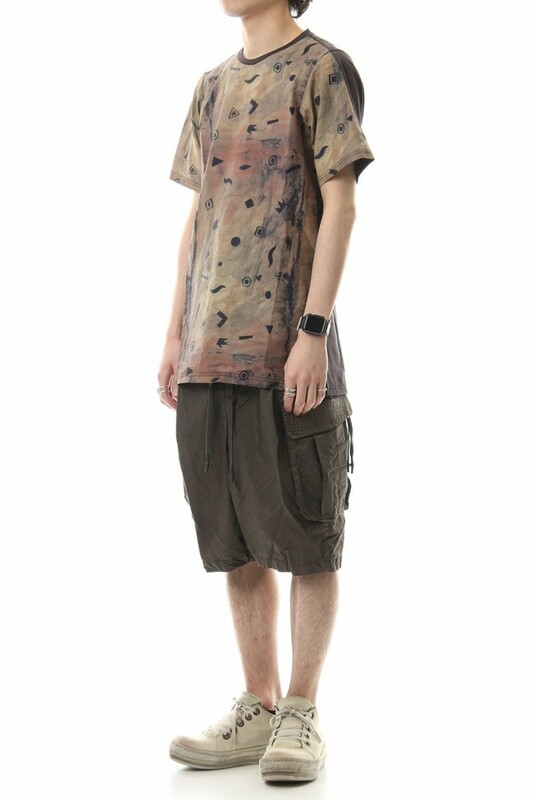 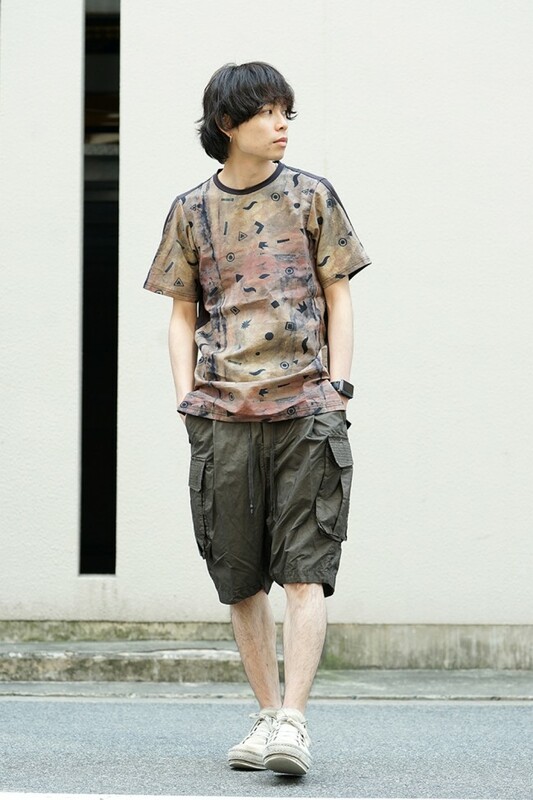 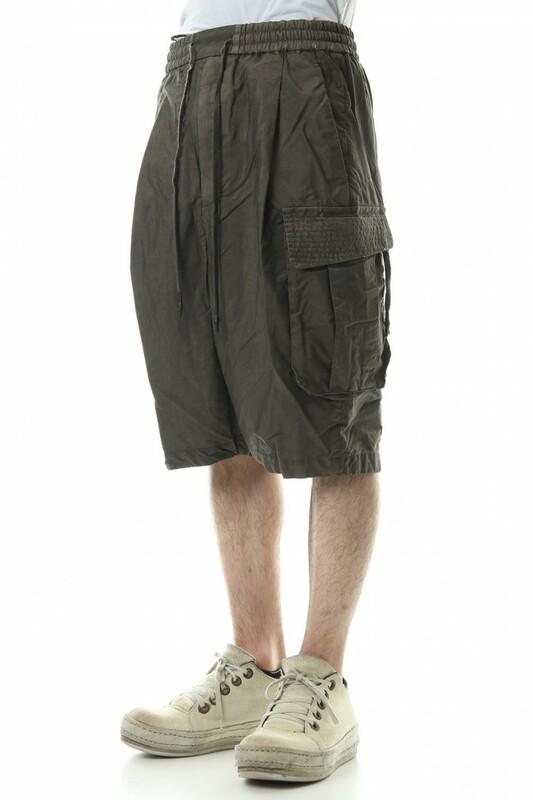 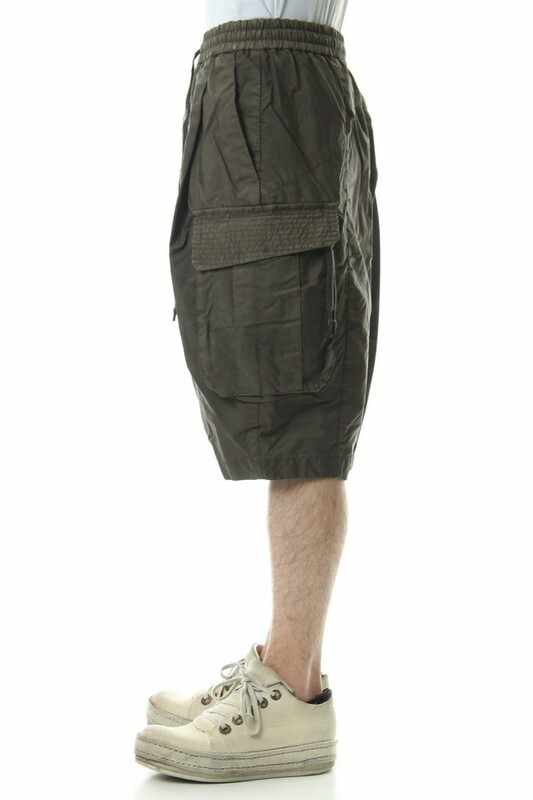 Cargo half pants have large pockets and has a deep rise to give more space. 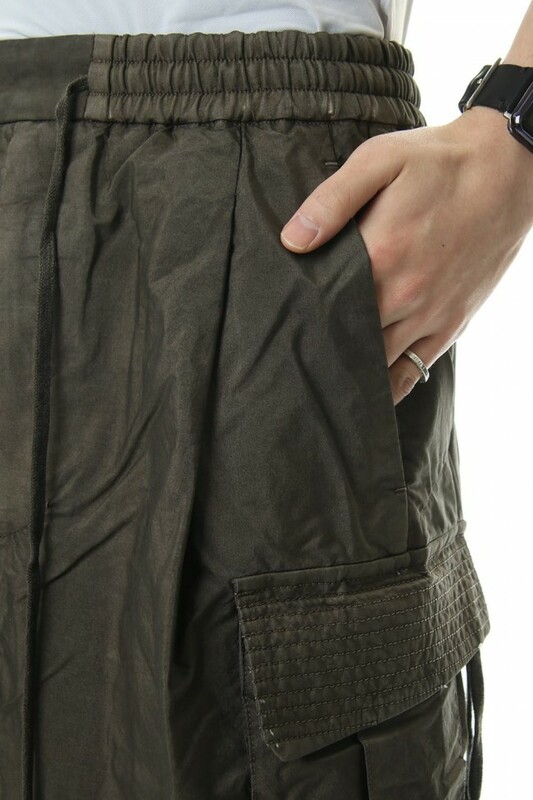 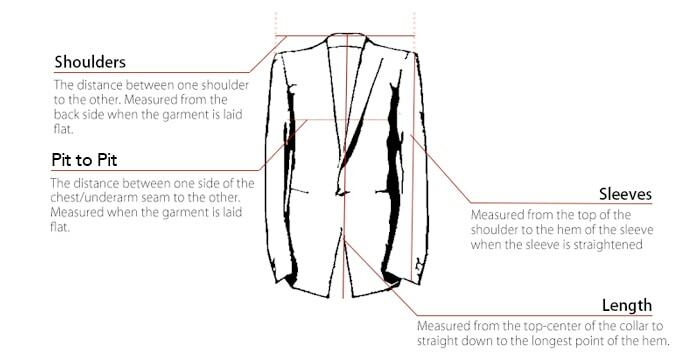 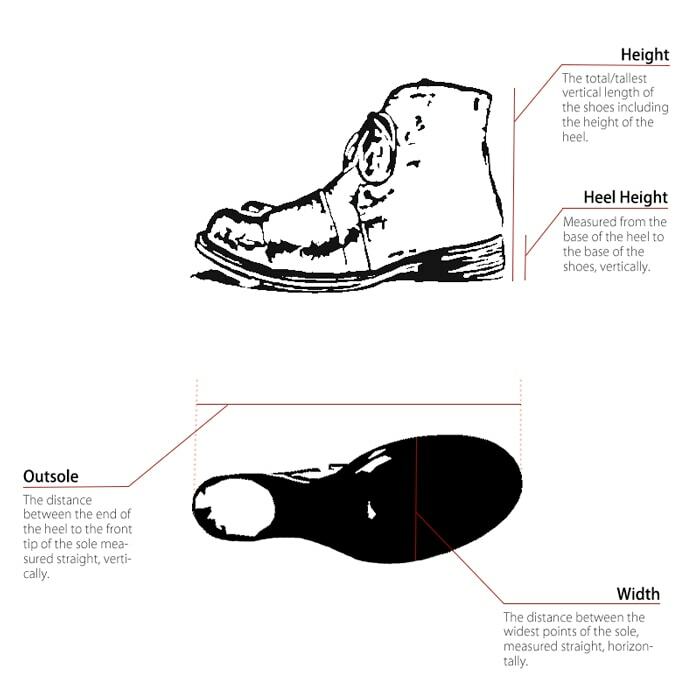 The length of the inseam is set around below the knee.